In a few short weeks, summer vacation officially arrives. In a few weeks + one day, your yard will be overrun with laughing, shouting, running kids. Is your yard ready for summer break? Transform your backyard into a family paradise with these tips from Mr. Tree and Lawn Service. You don’t have to sacrifice curb appeal to create a backyard space for the kids. A few simple changes will make the lawn a summer oasis for both kids and adults. Plant trees. Not only will planting trees help lower energy costs by shading the house, they’ll provide a cool place to play for the kids. Build a sandbox. Do you have toddlers or young children? A sandbox will provide hours of play, and they’re inexpensive to build. Make your kids’ play area more visually appealing by bordering it with perennials and small shrubs. When the kids outgrow the sandbox, you can transform it into a raised vegetable garden or flowerbed. Choose wisely. Rose bushes may be beautiful, but thorns aren’t kid-friendly, especially if you have curious toddlers. Leave the prickly bushes for a few years down the line. Plant sweet smelling flowers and plants kids can interact with like lamb’s ear. Lay the groundwork. 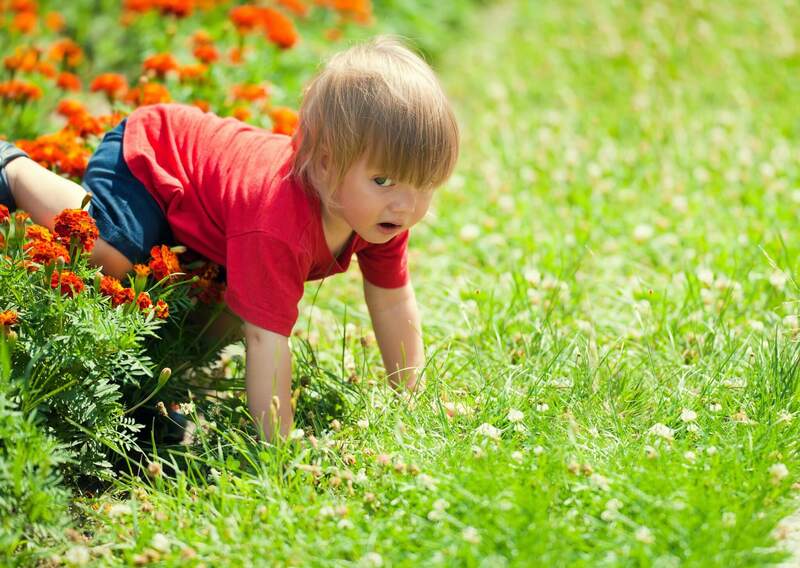 Remove any flowerbeds or obstructions that may cause kids to take a tumble. Give them a clear place to walk by laying a stone pathway from the back door to the sandbox or playground. Need help renovating and maintaining the landscape? Call Mr. Tree and Lawn Service in Gainesville.